The SOLAR-EDGE SE3000H inverters offer the highest output on the market. Moreover, you can improve the performance of each solar panel to reach maximum productivity (a 10% increase) by combining your SOLAR-EDGE inverters with optimisers. The connection is made via BLUETOOTH. SOLAR-EDGE guarantees an output of 99% for 12 years. Attractive and easy to install, this inverter is definitely the inverter that you need. Internet monitoring through optimisers is included.There is no need to add a Webbox or communication cards. You only have to connect it. Output raised to 99%: The SOLAR-EDGE SE3000H inverter combines a sophisticated digital control with efficient conversion architecture in a single step in order to reach a higher output and unparalleled reliability. Light-weight and easy to install: The SOLAR-EDGE inverter for America is delivered with an integrated CC cutter, while the inverter for Europe can be equipped with a detachable cable grommet to help organise the wiring. Both are sufficiently light-weight to be installed by one person on the supplied bracket. Web-connectivity: WIFI: The inverter is fitted with a receiver for monitoring data. It collects the data for each photovoltaic unit from the power optimisers. This data is then transmitted via WIFI and is freely accessible on the SolarEdge monitoring homepage. You can analyse the performance, identify functionality problems and repair them. Functionality with optimisers: The SOLAREDGE inverter inevitably works with an optimiser, improving the production of your installation by almost 10%. The optimiser regulates its impedance in order to make the panels independent of one another. If one of the panels is defective, the performance of the others isn't lessened. Single-phased inverter: The SOLAR-EDGE SE3000H is a single-phased inverter. The Modbus SolarEdge meter is used for photovoltaic supervision, consumption monitoring at home and for monitoring the power grid. The meter measures currents from 50 A to 1,000 A and supports residential and commercial installations. 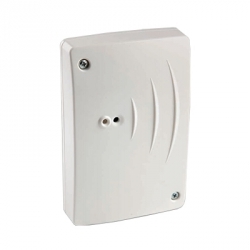 The meter connects to the SolarEdge inverter or gateway control and communication via RS485. The SolarEdge Smart Energy management solutions allow you to switch to self-consumption at home. 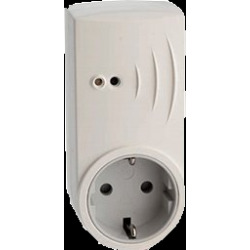 This plug allows you to monitor the consumption in your home. Power management for up to 2.5 kW. Heater controller which adjusts the power supplied to the heater based on the available power currently produced by your photovoltaic panels (up to 3 kW). 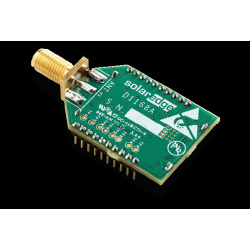 Connects your SolarEdge inverter wirelessly to the Internet. The SolarEdge switch with meter diverts photovoltaic power to an electrical appliance (load) according to a pre-configured time schedule.